In its second century of publication, Jones on Evidence: Civil and Criminal continues to be an influential treatise on all areas of civil and criminal evidence. Originally published in 1896 by Burr W. Jones, Professor of Law at the University of Wisconsin, the seventh edition by Clifford S. Fishman, began publication in 1992 and consists of five main volumes and a tables/index volume which are updated annually. 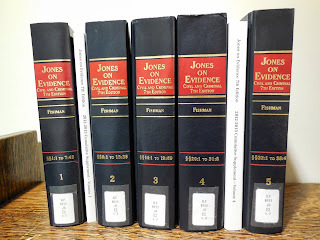 Jones on Evidence is primarily a practitioner’s tool rather than a theoretical treatise. The set integrates coverage of the Federal Rules of Evidence and the latest revised Federal Rules of Procedure, concisely explains the law, and provides guidance on how to work within the law and apply the rules. Fishman highlights significant recent decisions and includes numerous footnote references which cite to to resources such as American Law Reports, American Jurisprudence 2d, Proof of Facts, Am. Jur. Trials, etc. 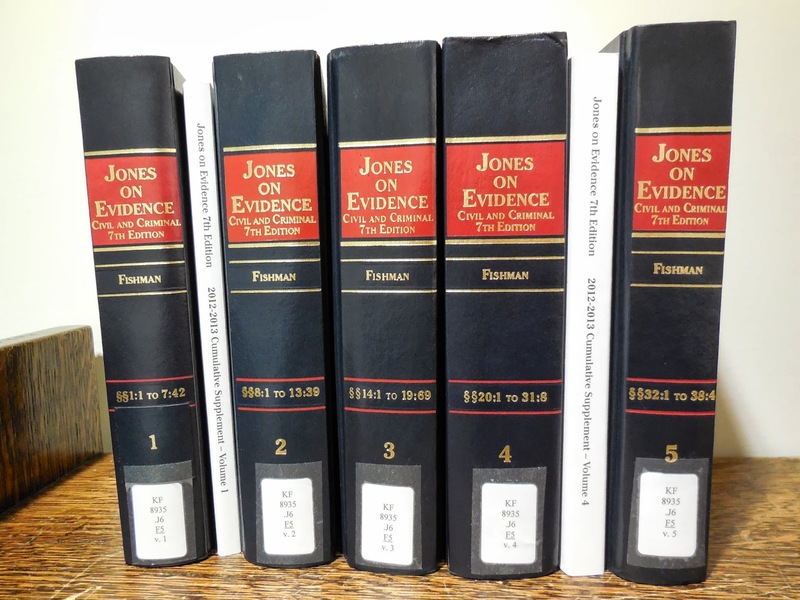 Jones on Evidence is also available via Westlaw. Users can access Westlaw for free in one of our libraries. For additional resources on evidence researchers may want to check out Mueller and Kirkpatrick’s Federal Evidence, The New Wigmore: A Treatise on Evidence (multiple titles) or Weinstein’s Federal Evidence: Commentary on Rules of Evidence for the United States.